Meetings, Presentations, Ceremonies, Conferences, Symposiums, Award Shows, Concerts, Funerals, Webcasting, School Performances, Town Halls, Dance Recitals, Political Debates, Fashion Shows, Product Launches, Company Announcements etc. 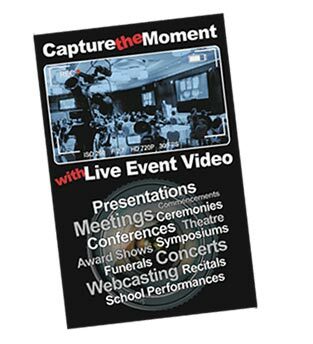 Whatever your event, we capture the proceedings for future delivery, webcasting or live streaming as needed. This can range from one to 8 autonomous cameras that can generate dozens of shots and angles mixed live and captured for web delivery on services like YouTube, Desktop/mobile video files or DVD home playback. In addition we can produce your in-show video content for playback during your event. With more than 25 years of experience producing content for a number of "Canada's Best Managed Companies" and other top level national brands you can trust Hawkeye Films to capture your vision and build a successful presentation for your event. We offer flexible services custom suited for your audience. Please browse our site to learn more about how we can facilitate your needs. When the time comes to plan your corporate event you can trust on our experience at Hawkeye Films to capture your live event and to share with your audience via live video streaming or post event distribution. We are ready to capture your Live Event in Waterloo, Kitchener, Cambridge, Toronto or clear across to the other side of the country. Please see our SERVICES / PACKAGES / PRICING page for more information. What can multi-cam coverage do for you? The following clip features multi-cam coverage live switched by 1 operator using 3 cameras and streamed live to 1400 global participants. Watch the following clip from a live music concert. Using 3 cameras we were able to remotely cover 15 angles/shots with no camera operators. Present a great show for any seat in the house. 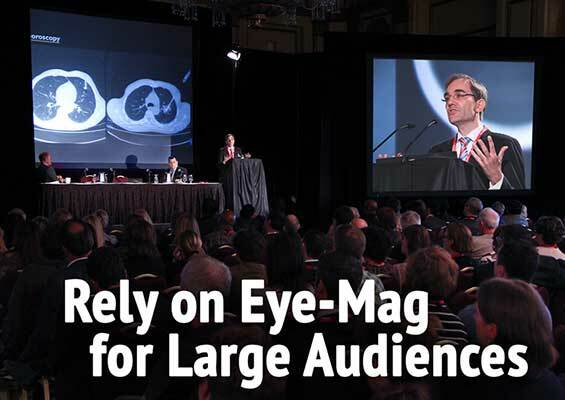 When presenting to large audiences Powerpoint projection is a pretty standard feature but you may want to consider projecting the presenters image as well to capture the nuances of their performance and allow attendees at the back of your venue enjoy the event as much as thous in the front. This is where I-MAG shines. 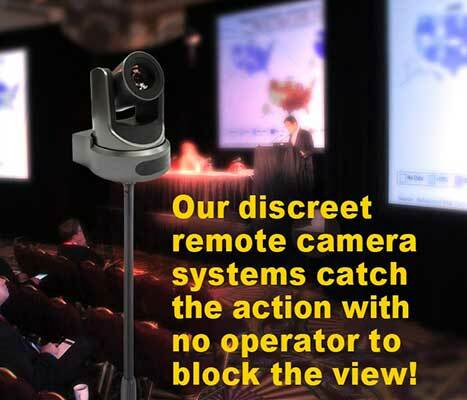 Not only can we produce a multi camera presentation for audiences to enjoy after the show we can also project any of the cameras independently as well. This customizes the experience for the attendees while still creating the best video for streaming and post event audiences.